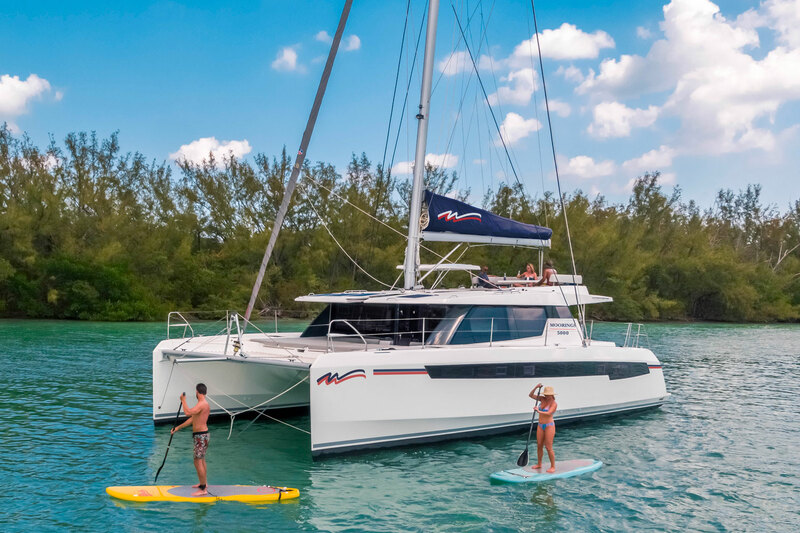 With comfort, space, and outdoor living area in mind, we bring to you the next generation of Moorings catamaran, the Moorings 5000. 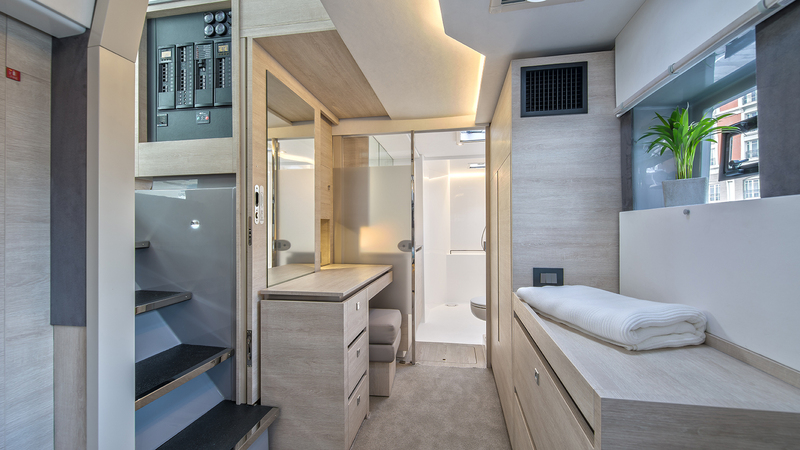 Designed to replace the award-winning Moorings 4800. 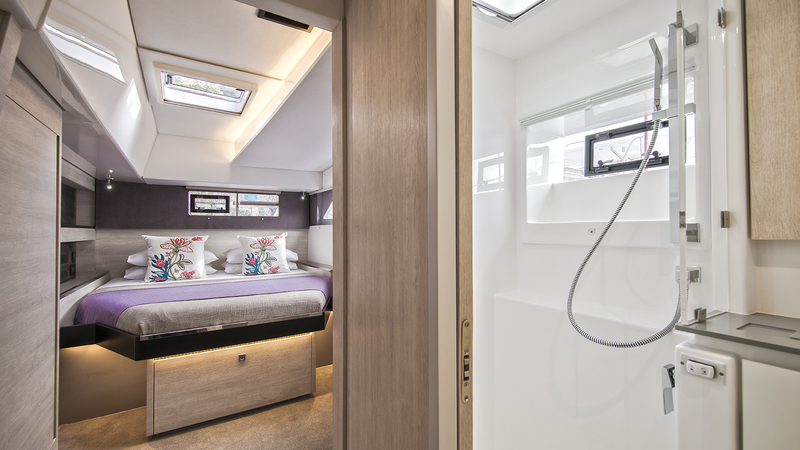 The Moorings 5000 boasts a lounging flybridge accommodation; a feature never seen before on a Moorings catamaran. 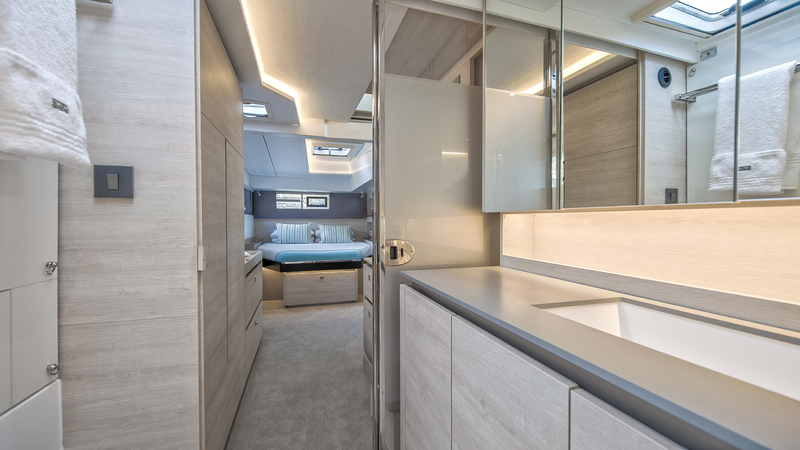 This exciting yacht is the ideal layout for anyone looking for more outdoor living space. 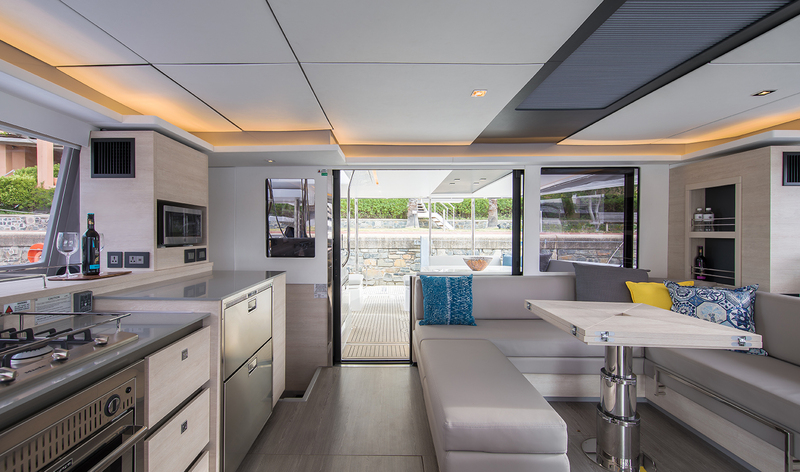 The flybridge includes a lounge area, table, shade awning, exterior speakers, and a sunbed. 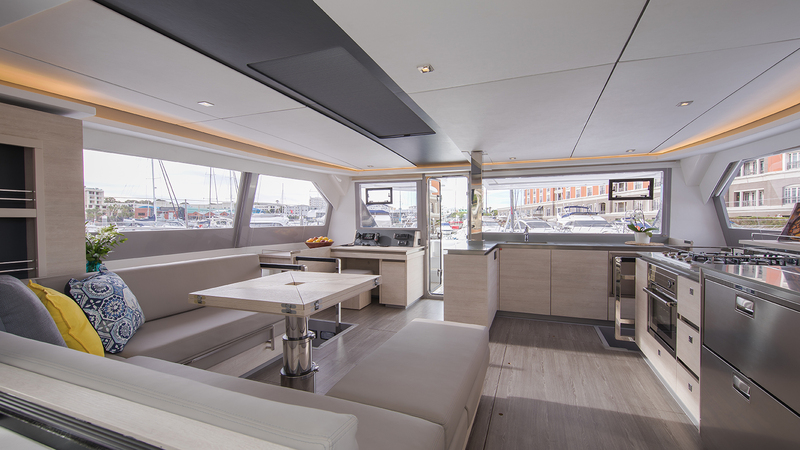 Access to the flybridge is provided by floating stairs leading up from the aft cockpit. 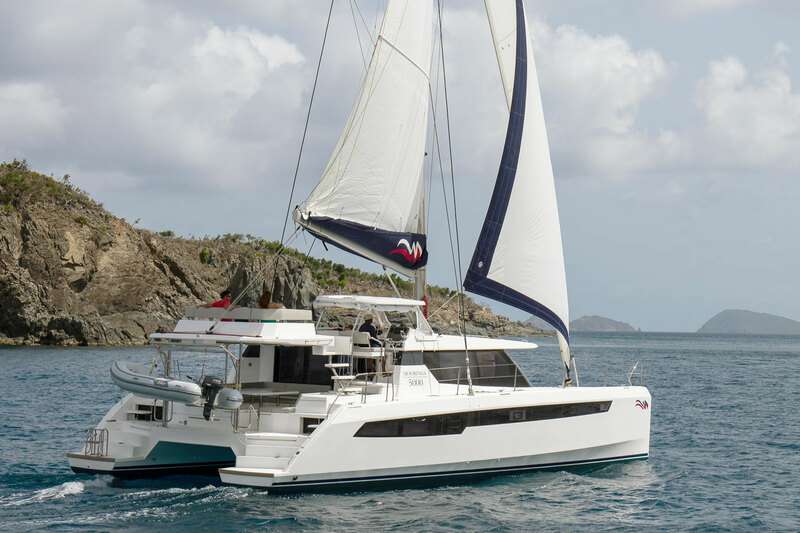 While under sail passengers can move about the fly bridge with ample headroom and never worry about interference from the boom.